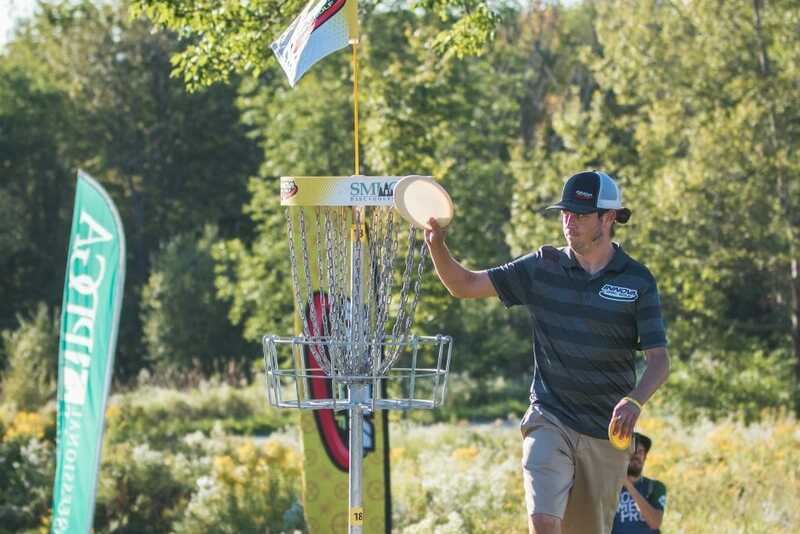 After the lead card walked off hole 7 at Fox Run Meadows during round three of the PDGA Professional World Championship, it was nearing the midpoint of the tournament and a four-time world champion was pulling away with a five-stroke lead. Headlines were starting to be written. The mood had changed, however, by the time the group finished its round as a wild day came to a close. From the jump, Paul McBeth was ready to protect, and build on, his lead. He started 6-under par through seven holes, only missing the birdie on hole 2. 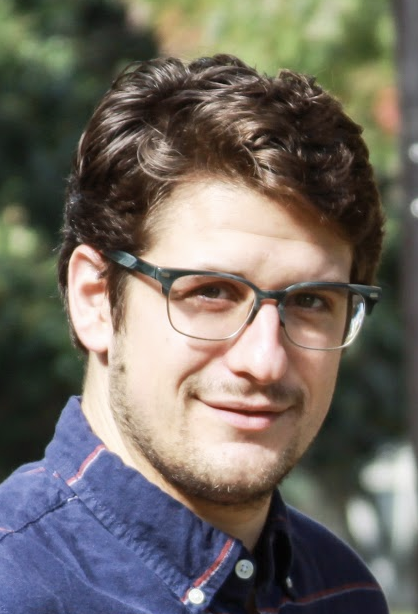 He looked like he had fire up McBeast, and we were all just along for the ride. Meanwhile, his cardmates were not putting up much of a fight. “When you’re playing with Paul [McBeth], he’s so good at those clutch moments. It seems like you have an eternal highlight reel of that dude making insane shots all over the place,” said Gregg Barsby on McBeth’s start. Birthday boy Paul Ulibarri — he turned 30 on Friday — was 3-under par until two OB throws resulted in a double bogey on the par 5 hole 7. James Conrad was hanging tough with McBeth but had collected a couple bogeys as well. As for Barsby, things were not going well for him the first few holes. Two bogeys over the first three and some bad luck on hole 4 resulting in an OB stroke had him flummoxed. Barsby turned it around immediately after. Watching McBeth “filet” the tricky hole 5, placing his shots as well as you can, Barsby followed it by sneaking in about 10 feet behind him to also card the birdie. That started a bogey-free run of 10-under golf for Barsby to finish the round at 9-under par 54. Ulibarri would also flip the switch over the back nine after going 1-under on the front. Five birdies in a row from holes 10 through 14, and a couple successful scrambles, helped him to a 7-under par 56. As for the pacesetters, Conrad couldn’t get himself in position for a putt. For a seven hole stretch on the back nine, he had nothing better than a Circle 2 look for birdie. A double bogey in the middle of that saw Conrad end his round at a meager 3-under par 60. While Barsby and Ulibarri made their runs, birdies stopped falling as easily for McBeth as well, yet he maintained a lead throughout. Once McBeth two-putted hole 17 and others grabbed twos, then things really went south. Off the tee, McBeth found OB along the left side road after throwing his hyzer a bit too high. And it only got worse. McBeth’s outside the circle attempt to save par buzzed left of the basket, sailed down the backside slope, and went OB again. He would settle for a triple bogey and also finish the round at 3-under par 60. Over the final five holes, McBeth was 4-over par, having also caught bogeys on back-to-back holes at 14 and 15. The huge stroke swing means that Barsby is your new leader at 28-under par 159 total. Ulibarri is in second at 27-under par 160 total, McBeth slipped down to a tie for fourth at 24-under par 163, and Conrad was down to a tie for sixth at 23-under par 164. Replacing McBeth and Conrad on the lead card for moving day will be Josh Anthon and Nikko Locastro. Anthon’s 10-under par 53 tied Matt Orum for the hot round and moved him into solo third at 26-under par 161 total. Anthon is now bogey-free over the two rounds at Fox Run, and according to UDisc Live stats, his 61-percent Circle 1 in regulation was tied for second on the day. The only real trouble he found was also on hole 18, fading out early and going OB, and then facing a death putt from outside the circle. “From that angle on the left, it’s not that hard of a sidearm upshot,” he said. “But I did leave it up too high and hit the wind and left myself with a hard putt. Then I was a little worried. Locastro is currently tied with McBeth in fourth at 24-under par 163 total and gets the lead card nod for having the better round on Friday. Outside of an 81-foot par save on hole 8, his front nine was nothing special. Then he turned it around and birdied eight of the final nine holes. His back nine was electric, making even his bogey eventful as it included two missed putts inside 60 feet. A 50-foot birdie to close out the round on hole 18 ended up paying dividends with McBeth later slipping. Orum moved into a tie for sixth at 23-under par 164 total and will be on chase card with McBeth, Conrad, and Seppo Paju. A 76-foot birdie on the monster par 5 hole 12 got Orum really moving; he’d go bogey-free the rest of the round while grabbing six birdies. Barry Schultz was on the chase card playing with Anthon. A long course like Fox Run may not seem like it suits Schultz’s game but before the round he had this to offer: “All the OB kinda cancels out the distance.” He wasn’t wrong. Schultz dropped a couple spots down to 11th, but he’s heading back into the Brewster Ridge woods where he’s bound to get some strokes on the field. Speaking of, if you have the opportunity to watch Schultz pull off a “patent pending” shot through a tight tree tunnel, I highly recommend you check it out. It’s so beautiful. He hit the pole from more than halfway down hole 15’s fairway during round three. Drew Gibson may have haters but it doesn’t stop him from being friendly with the course volunteers. He was sure to thank every spotter he passed. I wonder if that’s a trait all the big distance throwers have? Garrett Gurthie often does the same. Probably the best idea we’ve heard all weekend came from Jeremy Koling, who suggested Smugglers’ Notch extend the ropes course onto Fox Run so that players could zipline to their lies. Silver Lätt was the early hot round clubhouse leader after posting a 9-under par 54, jumping 51 places on the leaderboard into 50th. The Estonian went bogey-free and was 100-percent from Circle 1. His partner, Kristin Tattar, also had a big day on Brewster Ridge, shooting her way into fourth place and a spot on lead card for round four. “I was actually aiming at 8-under. So 9-under, that’s super good,” said Lätt. He admittedly is a bit intimidated by the OB but it didn’t show from a spectator’s point of view. “On tee 18 I was so scared, I had so many thoughts in my head but I made a perfect tee shot,” he said. The lead card of Barsby, Ulibarri, Anthon, and Locastro tees off at 2:30 PM local time on Fox Run Meadows. Smashboxx TV will be livestreaming the round. Follow along here at Ultiworld Disc Golf for coverage, and check UDisc Live for up-to-the-minute scoring. Comments on "Barsby Shrugs Off Slow Start To Take Lead At Pro Worlds"